Today I have the second recipe for my Whipped Butter “series”. This Whipped Moisturizing Conditioning Butter is quite simply wonderful for the hair! The recipe is quick to make and literally can be done with 2 ingredients (I use an extra ingredient to make it super moisturizing but this is optional). Why is this a Moisturizing Conditioning Whipped Butter? 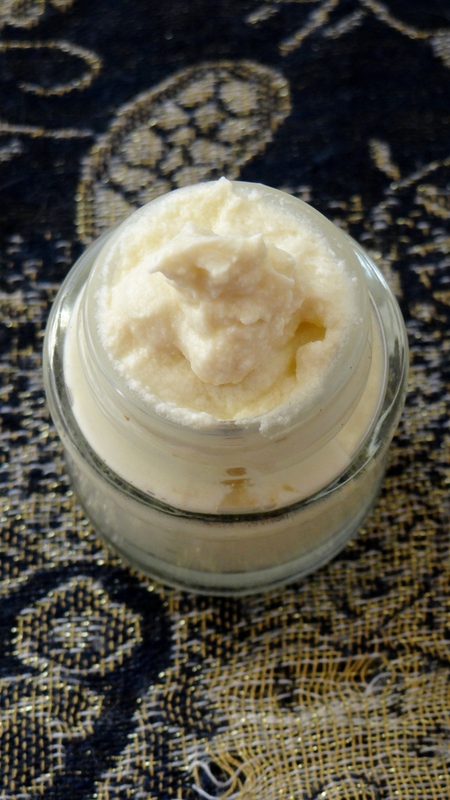 I have been asked if whipped butter (on its own) is moisturizing for the hair and in my opinion it isn’t really “moisturizing” because I find that in order for a product to be truly moisturizing it should have proper moisturizing ingredients – basically it should have water included in some way. Water, at least for my hair, is the beginning and end of moisture. Regular whipped butter (on its own) doesn’t usually include water (especially if it is homemade) unless you have also added preservatives to keep it from going rancid and growing bacteria. 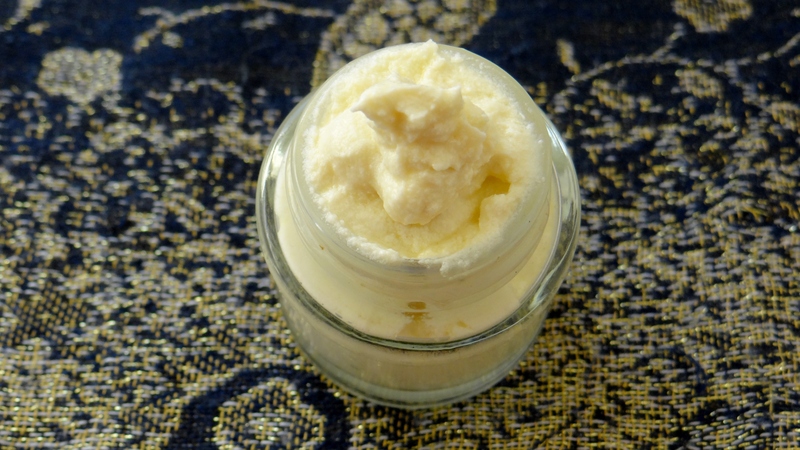 I find regular whipped butter to be excellent at sealing, providing shine, making the hair soft, but not necessarily a moisturizing product in itself. For example, I would not abandon using leave-in conditioner in place of regular whipped butter. So the combination of the moisturizing leave-in with the whipped butter makes this a moisturizing conditioning butter! To make sure you are using a moisturizing leave-in look at the back of your product to see if water is listed within the top three ingredients (if it is the very first ingredient even better). I consider this an ‘all in one’ product. It has moisturizing properties, the ability to seal in moisture and at the same time also helps to give a little definition. I normally apply the butter mid-week on hair that was already properly moisturized and sealed after it was washed. I use it to help restyle my hair, giving back curl definition on styles like a twist-out, braid-out, Bantu knot-out, pin curls etc. I usually lightly spritz my hair with water and then follow up with the mix and move onto setting my hair. If my hair is feeling uber dry I will use my DIY Spray Leave-In Conditioner or my DIY Moisturizing and Curl Activating Spray. I do not follow up with an oil since the whipped butter already contains oil. I make small batches of this since I do not use preservatives. The combo of the leave-in and butter can result in bacteria/mould growth if it is left for weeks and weeks before being used up or properly stored. I have kept my mix for 4 weeks without any issues (by week 4 I had used everything up) but I strongly recommend making small batches especially when you are first trying out the recipe because not all leave-ins will mix well with your chosen whipped butter. You can store it in your fridge to help extend its shelf life for a little longer, just keep in mind the cold temperatures in the fridge will make the mix a little hard so take it out at least 30 minutes before you want to use it. Shea Butter: Shea butter acts as an excellent sealant and is known to help “trap in” moisture and moisturizing products applied to hair. Shea butter is actually considered to have some moisturizing properties and is therefore wonderful for the scalp as well as the hair. Shea Butter provides nourishment to dry or damaged hair from the roots to tips and is said to help repair and protect against weather damage, dryness and brittleness. It also has a smoothing effect that helps provide shine to the hair. Water Based Leave-In: Water based leave-ins are a vital part of proving our naturally dry hair with moisture and should be part of our moisturizing routine. Leave-ins help to continue to condition the hair over the days they are left on and therefore help to prolong moisture in the hair while at the same time keeping the hair soft and supple. Leave-ins help to refresh styles, revitalizes our curls and help to smooth the hair cuticle, leaving us with shiny hair. Glycerin: Vegetable Glycerin is a humectant that attracts water in the air (humidity) and directs it to the area applied (the hair.) Due to its oily nature it can also be used as a sealant however should be used sparingly and should be diluted since it is thick and sticky. Vegetable Glycerin is better served when used in moderately humid climate, if used where there is a lack of humidity in the air it can do the opposite, extract moisture from the hair to the air. At the same time too much humidity in the air can cause frizz. (Not all naturals like to use glycerin so this is a head to head preference). I would love to hear what you think about this mix, especially if you try it out! This entry was posted in Conditioning Whipped Butter for hair, Shea Butter, Whipped Butter, Whipped Butter for Hair and tagged Conditioning butter for hair, Conditioning Shea Butter, conditioning whipped butter, conditioning whipped butter for hair, DIY Conditioning Shea Butter, DIY hair butter, DIY hair care, DIY Whipped Butter, Moisturizing butter for hair, Moisturizing Shea Butter, moisturizing whipped butter, moisturizing whipped butter for hair, natural hair, natural hair care, Shea Butter, shea butter for natural hair, Whipped butter for hair, whipped butter for natural hair, Whipped Hair Butter on September 11, 2015 by Maicurls. 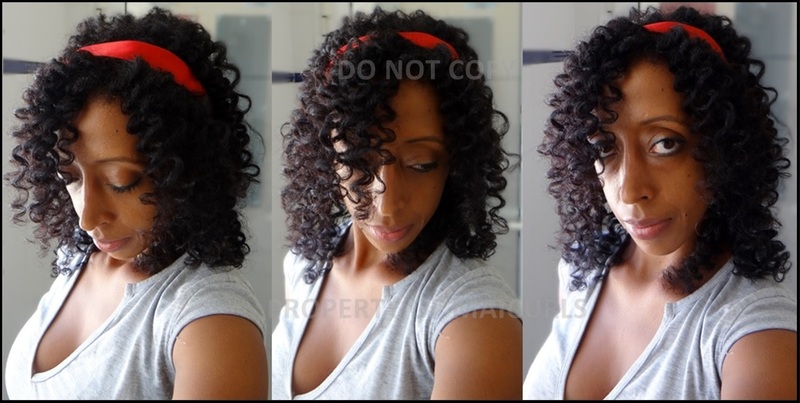 Surprise surprise….a Twist Out! It turned out quite well so I was happy. I used my leave-in conditioner (my updated mix which I need to post here soon), almond oil and a little whipped butter. I put my hair in 6 twists the night before, covered with a satin scarf and left them in until I was getting ready for the “celebrations”. 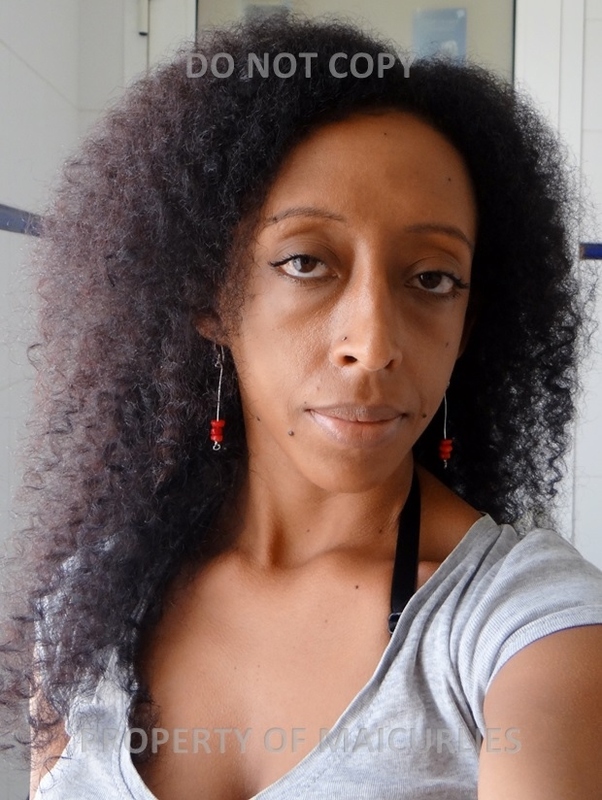 I took down the twists, separated with a little almond oil on my fingers and fluffed. So for my “celebration” I went out with my family to this AMAZING Mongolian Restaurant. The food was awesome! The menu included a soup as starter, your main course and dessert. For mains you get to select what you want which could be a mix of: chicken, beef, lamb, shrimp and then a selection of vegetables: carrots, paprika, onions, green beans, tomatoes, spring onions as well as the sauces of which there were about 6 to pick from. You give your bowl to the chef who cooks it in an open kitchen and did I mention you could go for seconds, thirds, etc as many as your stomach can hold! The meats and seafood is kept cold/frozen so that it remains fresh and like I said you could go for only chicken, a combo of chicken and meat and if you are really crazy a mix of both meats and seafood together! Yes I rolled out of there full and happy. Oh and my choice of drink was white wine. After dinner I went out with my friends for a few drinks…a good number of drinks which were Lychee Martinis! I LOVE this cocktail! My curlfriend got me hooked on them so I had to drag my friends to the best spot for cocktails of course. 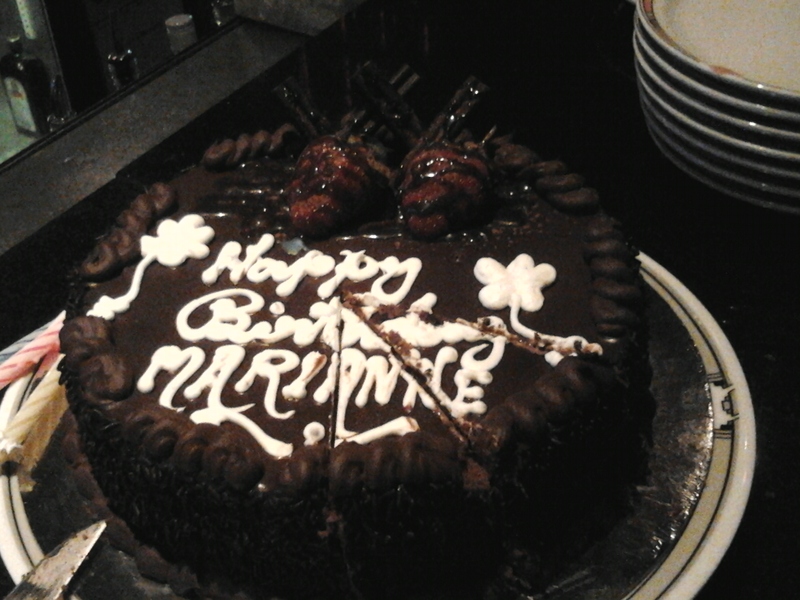 We ended up in our local spot and was surpirsed with a lovely birthday cake. Now what did I get in terms of presents? I really got spoilt rotten! Ok so these are my goodies! My sister and I like to give each other random gifts that we call “silly gifts”. So I got the softest bathrobe/house robe with matching shoes (It is sooooo soft I want to wear it all day everyday! 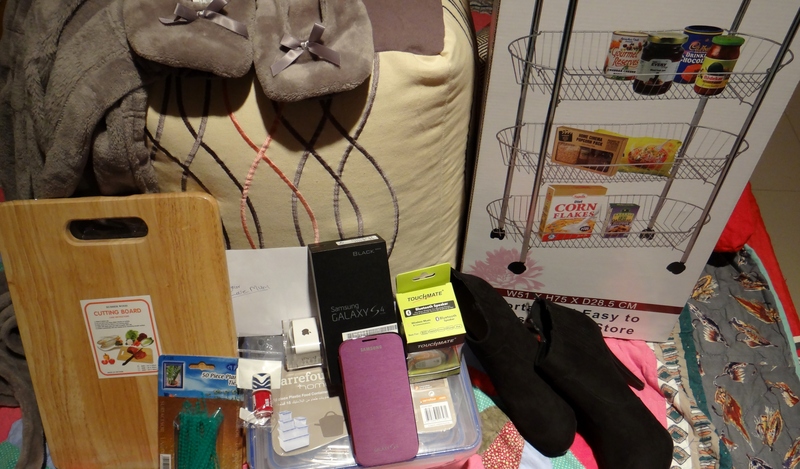 ), a square bean bag seat (silly gift), a cutting board (my sister said so I can prep food for her lol), plant ties (for my soon to be green garden), wireless speakers, red nail polish, iPod Shuffle, Galaxy S4, Tupperware (silly gift), boots (a girl can never have too many boots), kitchen trolley (so I can put all my DIY goodies and other ingredients! ), money and I forgot to take a picture of 2 tops I also got. 😀 Can someone say spoilt! It was a great Birthday 🙂 however, now I can no longer tick the box of 25 – 30…not so excited about that but hey! Have a lovely day Maicurlies! This entry was posted in DIY Creamy Leave-In, DIY Leave-In Conditioner, Twist-outs, Two Strand Twist and tagged Almond Oil, Birthday, Birthday celebration, Creamy Leave-In Conditioner, DIY Whipped Butter, Leave-In Conditioner, Twist-out, twistout, Two strand Twist Out, two strand twists, Whipped Butter on March 16, 2015 by Maicurls. One thing us naturals can agree on is (our hair needs moisture scratch that) OUR HAIR THRIVES ON MOISTURE. If you are able to get moisture to penetrate the cuticle of your hair, reach the core and (fingers crossed) retain the moisture then chances are your hair will be a happy camper. I was recently asked to make a video showing what my hair looks like when it is product free after being freshly washed. The lovely lady who requested the video stated she was having issues with her hair and wanted to see what my hair looked like. I will have that video up soon. First I want to point out I am not a hair expert nor am I professional I am however aware of what my hair likes/doesn’t like and can pretty much tell by the ingredients in a product if my hair will respond positively or negatively to it (most of the time not always). I was able to identify that I have medium/high porosity with it leaning more towards high porosity and fine hair strands. If you are unsure of how to do the tests to determine your porosity and width there are simple testes you can do at home which you can read about here. Low Porosity – difficult to absorb moisture due to closed cuticle but once moisture is in the core it is well retained. High Porosity – easy to absorb moisture but also to lose it due to highly raised cuticles. I could not only tell from the results of the porosity test but also because of how quickly my hair absorbs anything I apply and how quickly it can become dry if I do not seal my hair properly. Moisturizing and sealing my hair during the week is necessary if I want it to remain moisturized and avoid breakage. After doing a deep condition I will dilute ACV & water run that over my hair and then do a final rinse with cool water (not always pleasant) but necessary. In the past I have only ever used oils after moisturizing because I did not have access to butters however all that has changed now. 🙂 With that said, I also have to be careful of how I use my products and how much I use. 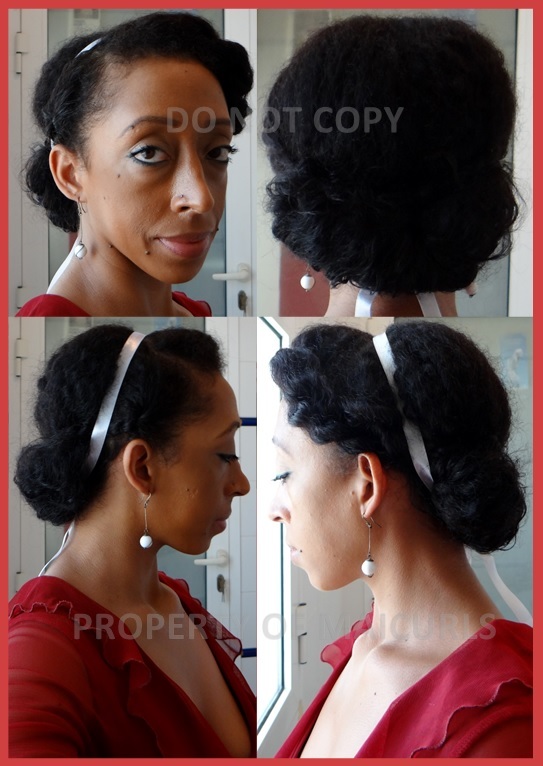 If I am not careful I can weigh down my curls due to the fact that I have fine hair strands (will be covered below). It is all about layering products for me so I moisturize (water + leave-in) and the seal (oil and/or butter). 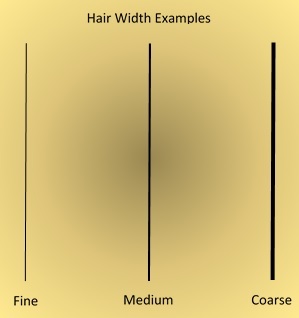 Fine – The hair strands are thin and can be weighed down if a lot of heavy or thick products/ingredients are overly used. 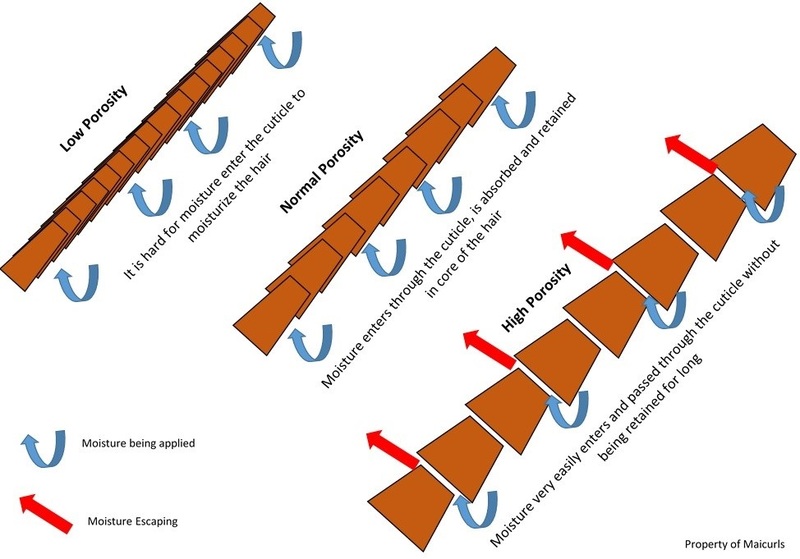 The hair is fragile and extremely susceptible to breakage if it is not handled with a gentle hand and care. Medium – The hair is neither thick nor thin and is able to handle both heavier and lighter products/ingredients but should still be used in moderation. As mentioned I have fine hair and yes a little too much of ANYTHING can weigh down my hair. I like to refer to it as “mousy” (when my hair is damp/wet). I literally look like a wet cat and detest going out like that! So even “good ingredients” such as creams or butters can really make my hair look lifeless, flat and greasy. While I need to follow the steps of moisturize and seal, in the back of my mind I always have to remember too much of a good thing can be bad. This also applies for styling products. When it comes to handling my hair I have to be extremely careful. Rushing through detangling is just screaming for breakage which, I have done more than I’d like to admit. So I also look to strengthen and thicken my hair with the help of my Henna treatments. 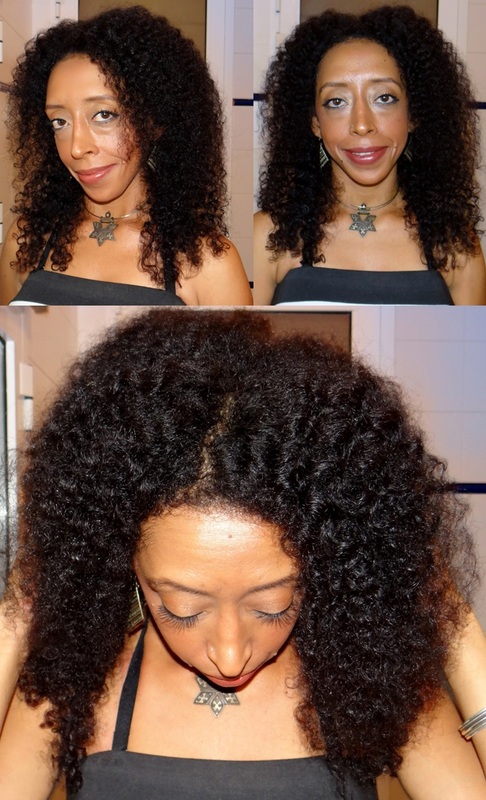 How do you take care of your hair based on your porosity and hair width? I would love to hear from you. This entry was posted in Hair Porosity, Hair Width, Porosity Test, Width Test and tagged Coarse Width, DIY Whipped Butter, DIY Whipped Cocoa, Fine width, Hair Cream, Hair Milk, Hair Porosity, Hair Porosity Test, Hair width, Hair Width Test, High Porosity, Low porosity, Medium porosity, Medium Width, natural hair, Natural Hair porosity, Natural Hair products, Natural Hair width, Natural Oils, Shea Butter, Whipped Butter on August 19, 2014 by Maicurls. Lets get down to business shall we…and that business is my Twisted Bantu Knot-out. Let me start off by saying I love the curl results I get from this style. I think they are really “girly” and fun… in my opinion. 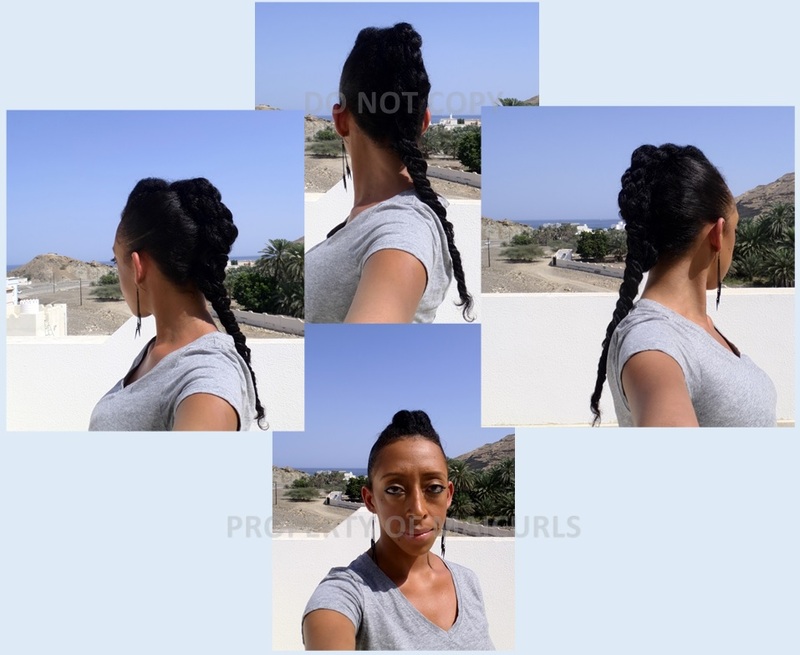 I did not manage to record how I actually put in the Bantu Knots because I decided to do them late at night but I did demonstrate on one piece before taking down my hair (see video below). 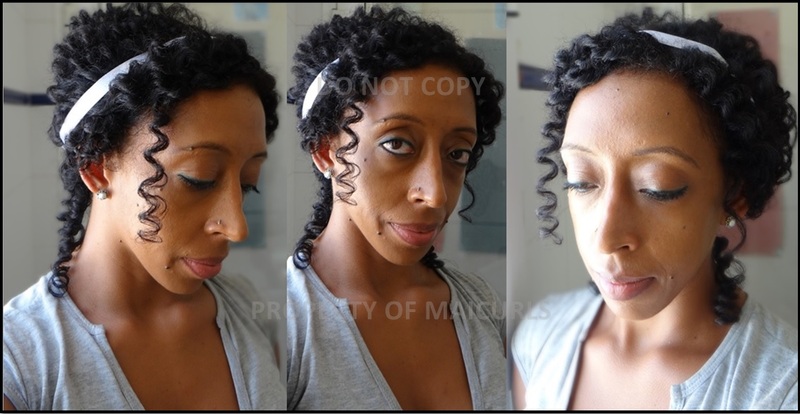 I can do a proper demonstration of how I install my twisted Bantu Knots in a separate video & write up (if someone needs to see it) although my method is no different to the other lovely ladies on YouTube. 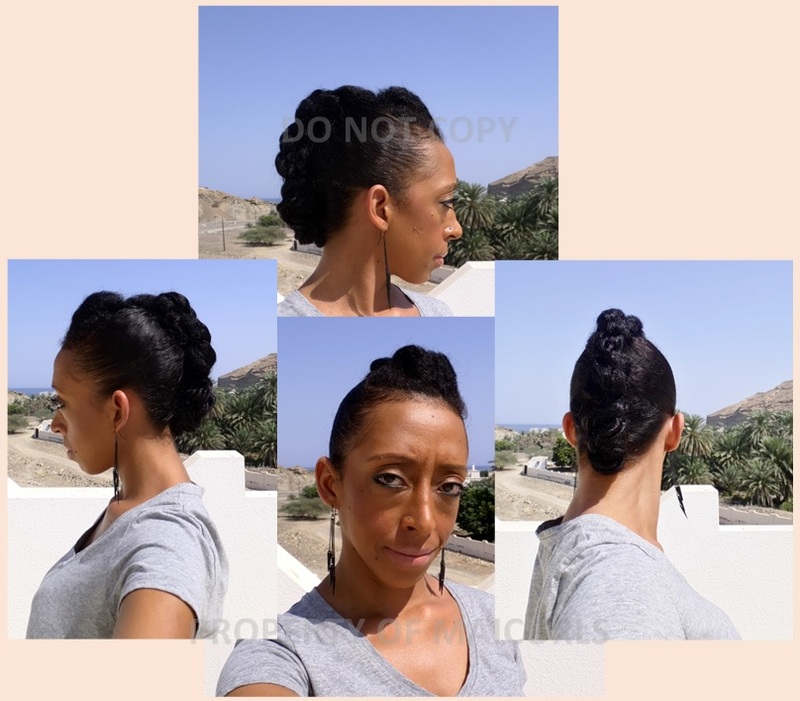 These particular Bantu Knots were not two strand twist, instead I just twisted single sections of my hair around like you would a rope and then put them into Bantu Knots. Because they were not put into two strand twists I separated each curl a little more than I would when they are in twists. 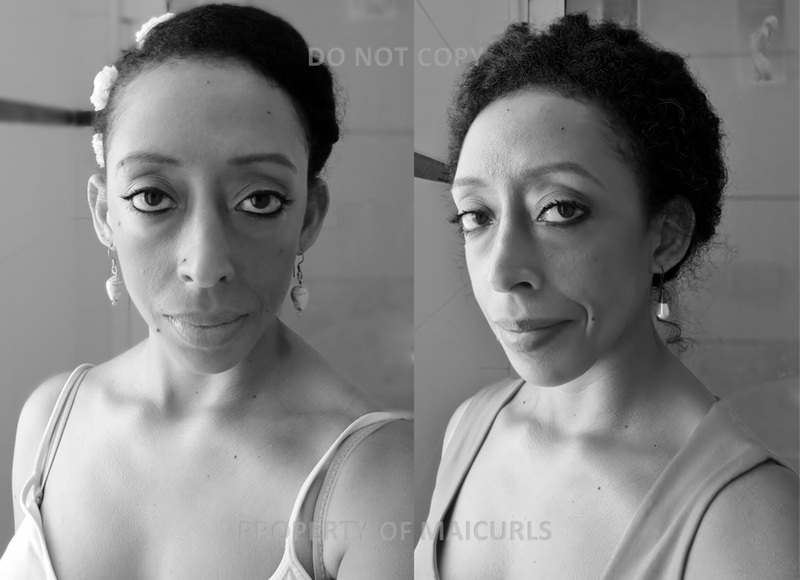 With the two strand Bantu Knots, I already have 2 separate sections and then separate each half of the twist one or two times. 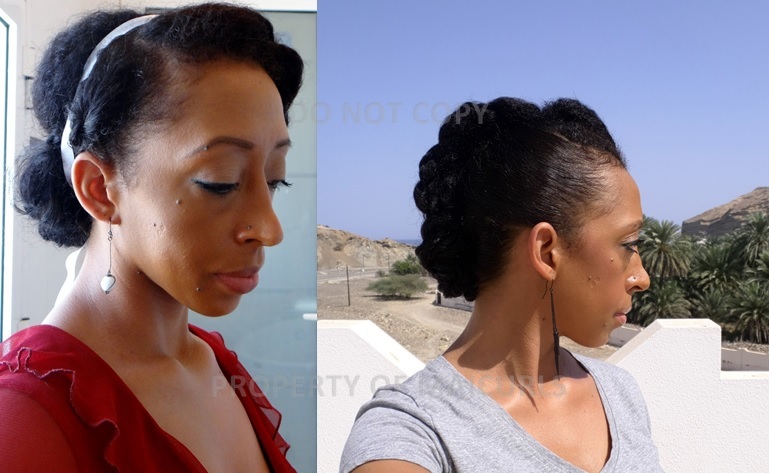 I have a few photos of what my Two Strand Bantu Knot-Outs look like here for you to compare to the images below. 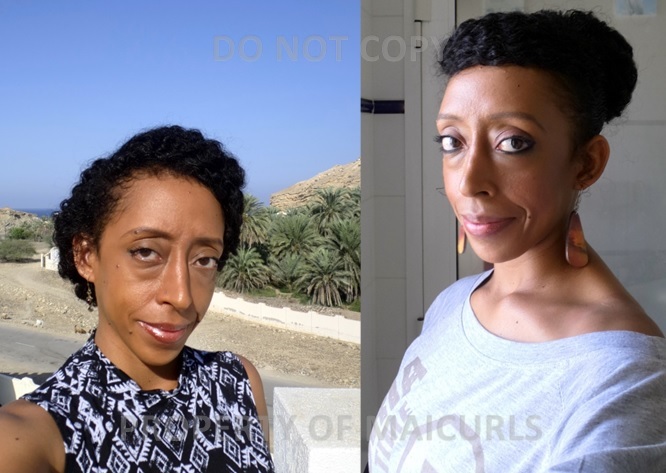 I did not neatly part my hair nor did I use rat-tail comb I just sectioned 5 parts; 2 on the left, 2 on the right and one in the middle of my head and then randomly took small/medium sections of hair and twirl my hair into a Bantu Knot. I have explained how I achieve this style along with images and text below. I worked on dry hair that was slightly stretched and finger detangled. I first lightly mist my hair with water, apply my leave-in conditioner and set/seal with my whipped butter. This entry was posted in Accessories, Bantu Knot-Out, Bantu Knots, DIY Creamy Leave-In, DIY Mixed Sealing Oil, DIY Whipped Butter and tagged Accessories for hair, Bantu Knot-Out, DIY Creamy Leave-In Conditioner, DIY Mixed Sealing Oil, DIY Whipped Butter, DIY Whipped Cocoa, ribbons as an accessory for hair, ribbons for hair, Shea and Mango Butter, Twisted Bantu Knot-Out on May 30, 2014 by Maicurls.